It was a windy day public holiday at East Coast Park. There are joggers, cyclists, park goers, and then there are the Singapore paragliders. A small group, they are armed with haversacks on a small open field. One of them unzips his haversack to reveal a coloured sheet and a multitude of connecting strings. With a swift and vigorous tug, the sheet elevates and hovers above him and that is as high as it goes. 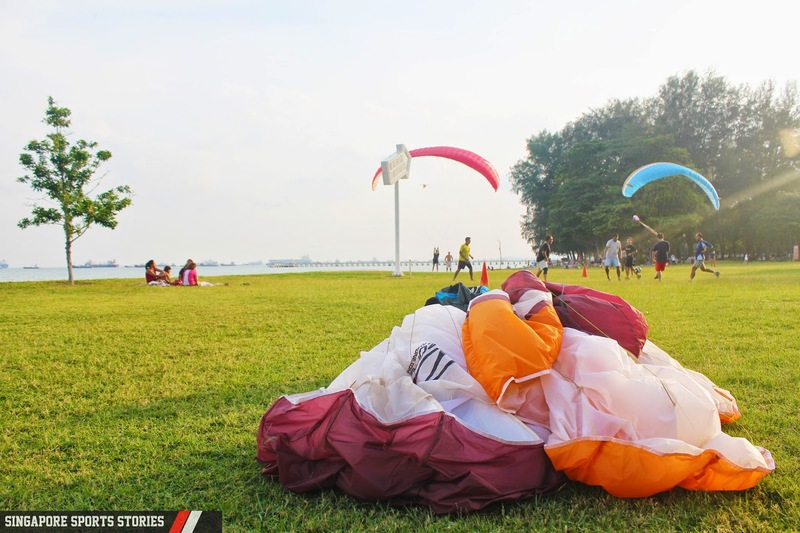 There are no paragliding sites in Singapore but that has not stopped local paragliding pilots from picking up the sport here. 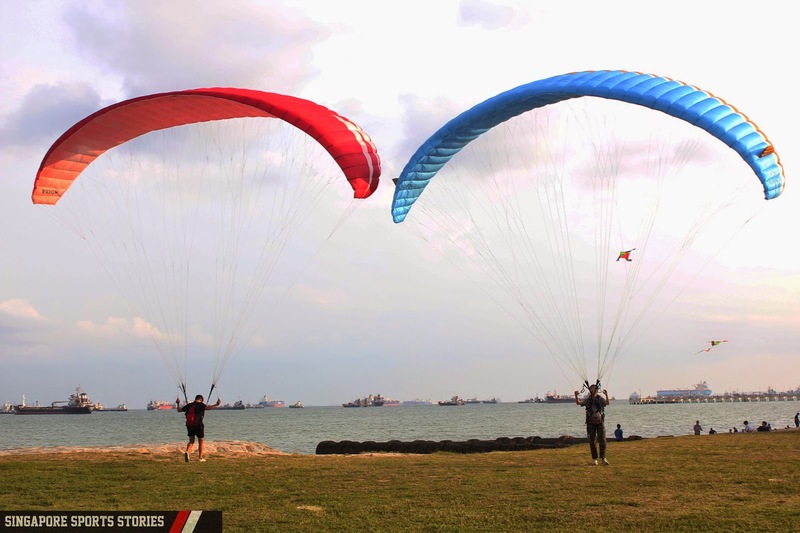 Forming an association in 2012 called Paragliders Association Singapore (PGSG), the group is now about 50 members strong. From the heartlands of Woodlands to the beaches of East Coast Park, they practice ground handling techniques to better prepare themselves when they head abroad to paraglide. PGSG’s Communication Officer, Dennis Chia Hock Leong, 53, emphasises the importance of ground handling. “Ground handling is actually the basic that you need to learn before you paraglide… on the hill, when the wind is blowing, you cannot afford it (mistakes), you must be able to bring it (wings) up and control it,” said Mr Chia. The group travels to Malaysia and Indonesia to paraglide on most weekends and these trips usually involve five to ten members. Members are a varied and disparate bunch, tied together by the passion for paragliding. There are teenagers, grandfathers and even international paragliders. 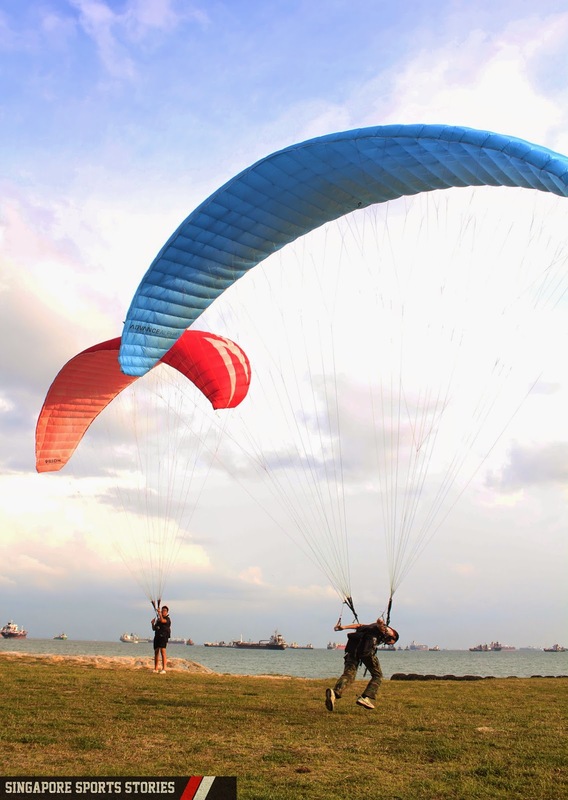 The president of the association is 60-year-old semi-retired consultant, Joseph Koh Tang Kium, who has been paragliding for three and a half years. 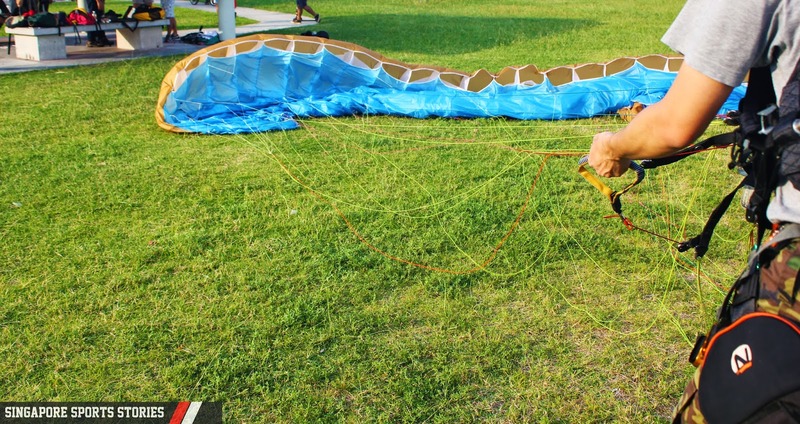 Mr Koh has always dreamt of flying, and after retiring, he decided to pick up paragliding. “I’m always thinking, one day I want to fly; not with the remote control, after I found out that this thing (paragliders) can fly,” said Mr Koh. As president, Mr Koh usually oversees the ground handling trainings and guides newcomers to the association. One of them is 17-year-old Ngee Ann Polytechnic student, Chu Zhi Lin, who took up paragliding after he got inspired by a paragliding youtube channel. “It is the first youtube channel I saw. He (the paraglider) was gliding in Peru and France. One thing I like about him is that he lives in Europe, it’s like he can fly almost anywhere,” said Zhi Lin. In contrast, there is nowhere in Singapore to paraglide. Zhi Lin shared that even when ground handling here, security would sometimes stop them. But that has not deterred him from loving the sport and he remembers a particular flight vividly. “The one which I flew over the hill, it was very bumpy. I was not used to the sudden lift. To be honest I was very scared, but half an hour into the flight I was sort of used to it and then I started enjoying it. I wish to go to Europe,” he said. For Mr Chia, his memorable paragliding moment came in Jugra, Malaysia. “We were circling up the wind when an eagle flew alongside us. It was a magnificent view. These are the rewards you get from paragliding,” he said. The association also has international paragliders in their ranks. Mr Koh said: “Our club has seen (paragliders from) more than 10 countries join us… they are expats who come here and they join us.” On this public holiday at East Coast Park, Brazilian Diogo Nunez Oqida and German Nora Martiny were with the association for a ground handling session in the late afternoon. Miss Martiny, 29, works in Singapore as a Research Associate and has been here for four and a half years. 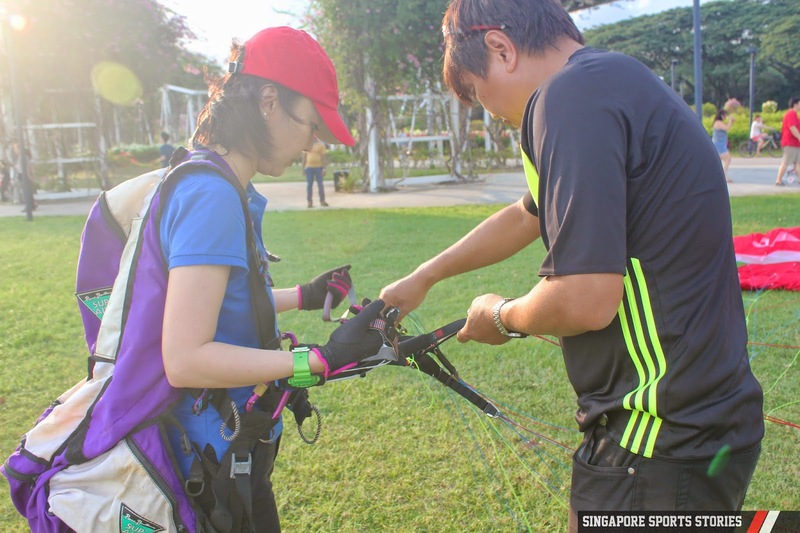 She found the Singapore paragliding group after she looked up and contacted one of the members. Miss Martiny recently competed in the Bavarian Open 2014, a cross country paragliding competition, which she won in the Women’s category. 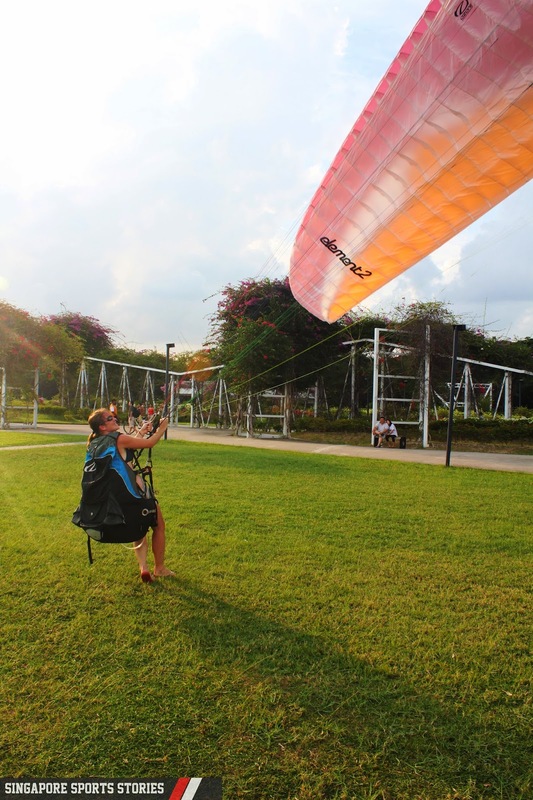 She has been paragliding for three years and enjoys her time with PGSG. “I just enjoy being around these guys, even if it’s not flyable, it’s always fun to spend time there,” said Miss Martiny. Though she enjoys travelling with the paragliders, she laments the lack of paragliding opportunities in Singapore. “It’s nice to travel but it’s always expensive and you have to leave Friday evening and come back late Sunday evening. 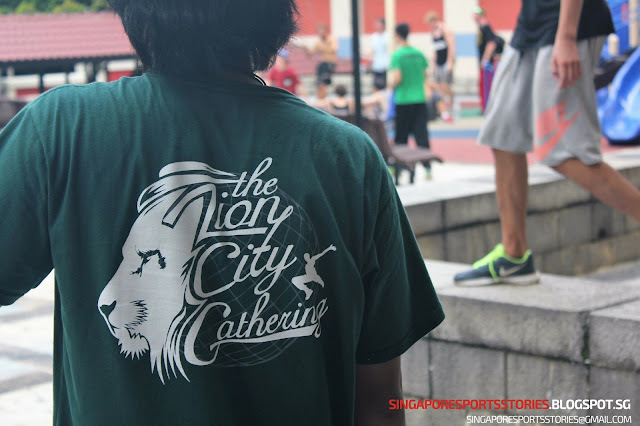 It’s really exhausting and it would be great if there’s a possibility in Singapore,” said Miss Martiny. Simulating collapse situations is not always grave. While Brazilian Mr Nunez was practicing ground handling with his paraglider, Miss Martiny dashed over and playfully tugged on one of his paraglider’s string, causing it to collapse, erupting laughter from the group. Even though the local paragliders will not be soaring through the Singapore skyline, they know they have each other the next time they head abroad and take to the skies. For more information on Singapore Paragliders, check out their facebook page.